"Freel's Starship" Black and White Freel Peak- Lake Tahoe, CA. 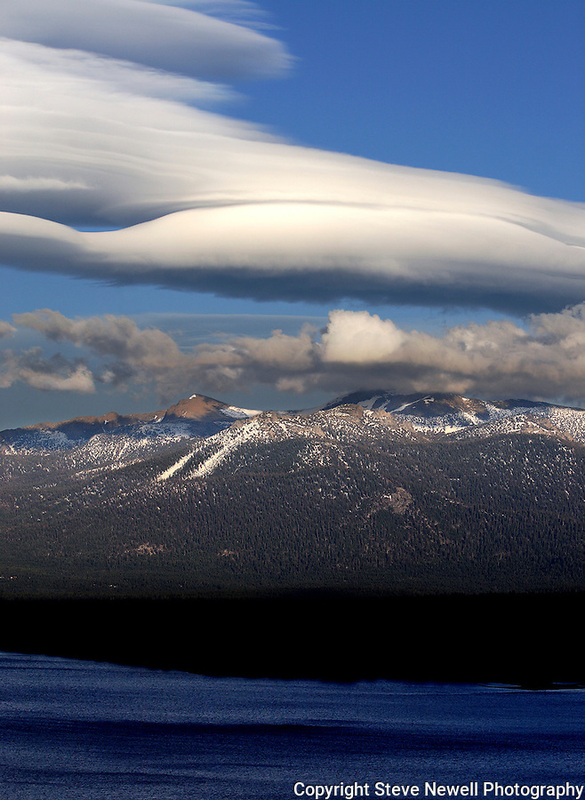 This spectacular lenticular cloud formed over South Lake Tahoe and Freel Peak, 10,881 ft and stretched to the North side of Lake Tahoe. Freel Peak is one of my favorite peaks in California. Lenticular clouds only form in a few mountain ranges around the world.